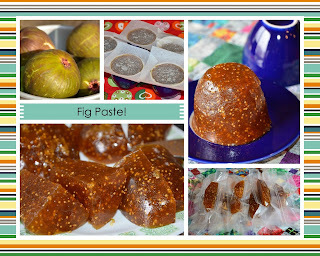 Hamby Home(in)stead ...: Fig paste! Soon after publishing my last post, our laptop developed a rather frustrating glitch. The solution was beyond our DIY efforts, so professional assistance was sought - and even they took a week to solve the issue. During my enforced (virtually) technology-free state, I distracted myself with some domestic goddessing! 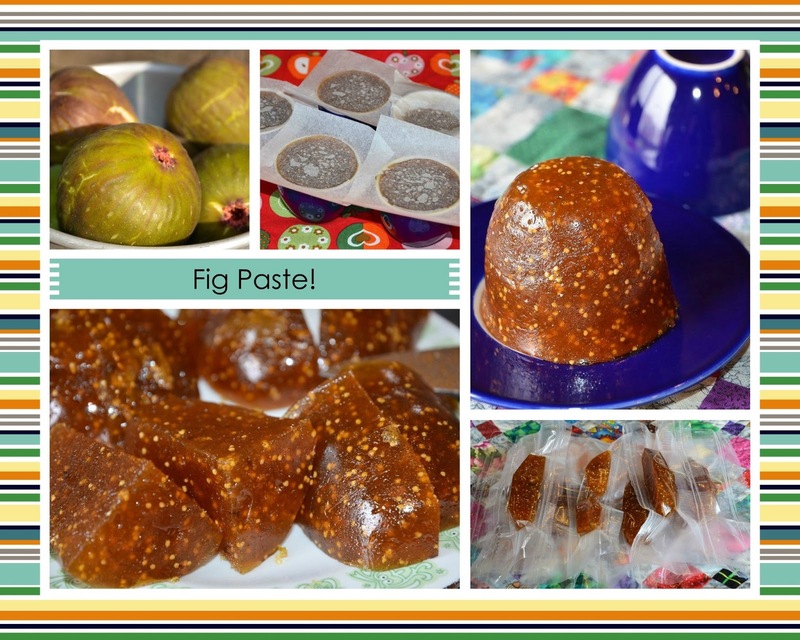 I had beaten the birds to a kilo of figs and decided to branch out into fig paste production, which was definitely entertaining. The blended fig mix initially looked rather kakky but transformed during cooking to a much clearer, prettier colour and suitably thick texture. Although the recipe called for ramekin dishes I don't have any, so used a set of mini cups instead. As instructed, I left the paste to set overnight and the resultant rounded mounds were quite pleasing when I unmoulded them the next morning. Aesthetics aside, the mini-cup mounds seemed far too generous a serve and we halved each - giving 10 quantities in total. The recipe advised storing in the fridge, wrapped tightly in plastic film but we went a step further and used our vacuum sealer instead. To facilitate the vacuum process, each half was halved again and then packed together in longer, bon-bon shapes. The packs looked very professional when completed! (I've already given one away and hope to hear good reports in due course). I haven't properly costed the batch. Of course, the figs were free and the only other ingredients were sugar (about 50c worth) and a very small amount of jam setting agent (cos the recipe stated it was necessary). It really wasn't any trickier to make than jam and I do wonder at the high price tag for similar items in the deli section at the supermarket.